This Quick Attach kit fits JD 7000 thru ME5 (except BrushBelt ExactEmerge) & Kinze 2000s. Fits non-EdgeVac Kinze 3000s prior to 2013 (smaller seed tubes). Quick Attach brackets are much sturdier and easier to install than the Universals. Single liquid tube goes all the way through tail. 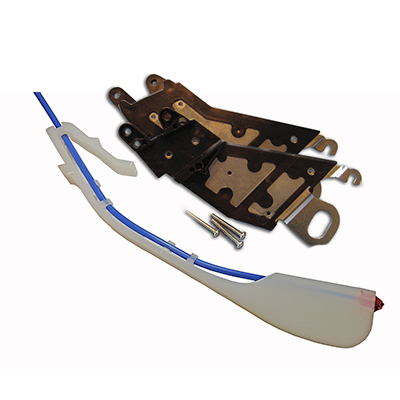 This kit is comprised of KTN150109 bracket along with KTN140045 standard-height tail. Use different Quick Attach brkts for White 9000s, Kinze 3000s (with oversize seed tubes) & 4900s.